The Hi-Res Multimode OTDR solution has been designed to characterize and locate faults on very short multimode fiber runs deployed in aircraft, spacecraft, submarines, and ships. The Hi-Res Multimode OTDR solution is the industry’s most compact, lightweight, and portable unit. 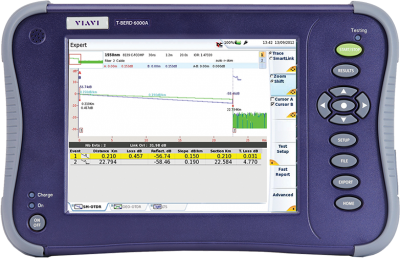 Its user interface has been specifically designed to simplify OTDR testing and results interpretation.